Saint Petersburg, this magnificent city that Peter the Great considered as a window to Europe, has just celebrated its 300 anniversary in splendour and brilliance. Its inhabitants, extremely open - minded, will be happy to welcome you in their city. 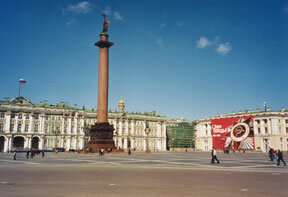 We organize trips to Saint Petersburg to have you meet several Russian women. This method will allow you to meet the maximum of women in a minimum time period, thus making your search quick and efficient. You will get assistance of our local representatives who know perfectly well their members and will be able to guide you. Your profile will be presented to the women you selected and, upon their consent, you will meet them right away. You will be assisted by Russian and French consultants in all the administrative issues in Russia and in France to pursue and develop your relationship. We will take on the organisation of the trip to France for the woman you have chosen and will stay in touch with you as long as you need our assistance. We will be available on a permanent basis to give you advice, psychological help and administrative assistance in Russia and in France. This method will also allow you to discover cultural and historical treasures of Russia and get to know the true hospitality of Russian People. 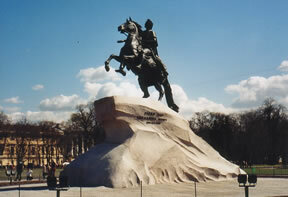 Other destinations (Moscou, Samara, Minsk,...) : contact us travel@accords-franco-russes.com. We will do our best to organize your trip.